This Mother was purchased for a throw away E-machine EL-1210 Small Form factor ( Mini ITX ) Computer. Once I placed this motherboard into the case booted it up and loaded Window 7 Home Premium 64-bit, I never have had one minutes trouble with it. The only thing is I wish this board took is DDR3 Memory instead of DDR2. 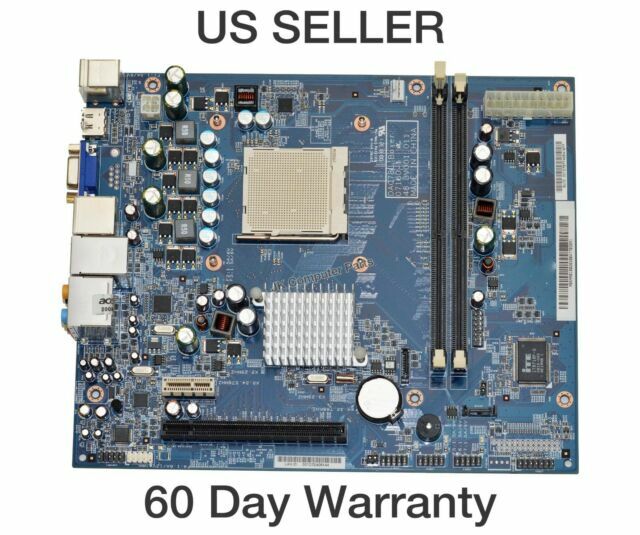 Great motherboard for the price. Thank you, everything is working great.. Thank you, everything is working great, if you have this computer. is stop working. buy this board and keep going. I bought this to replace the one in my emachine el1200 because the graphics were terrible. This motherboard is the bomb. Runs windows 7-32 or 64. Thank you for all your services.